President Obama took part in Wednesday’s National Day of Making in more ways than one. 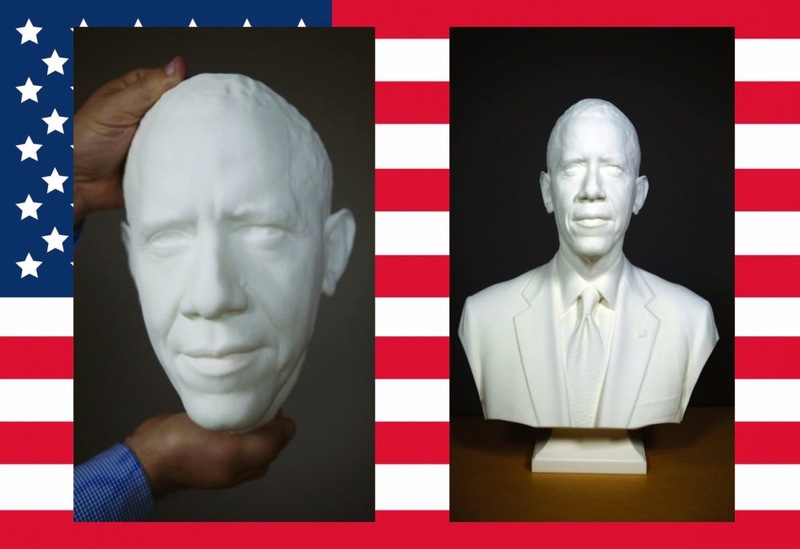 As part of the Smithsonian X 3D program, the Smithsonian presented the first-ever 3D printed presidential portraits at the White House Maker Faire on June 18th. The portraits were created using two types of 3D scanners to give an accurate 3D model of our 44th President, Mr. Barack Obama. The display included a bust and life mask of the President, each printed using 3D Systems’ SLS technology, great for high precision facial detail. The scan data, bust, and life mask will be displayed in the National Portrait Gallery as part of the Smithsonian’s collection of presidential representations. Other interesting scans and printable models, including a life mask of President Lincoln, can be found on the Smithsonian X 3D website.